A Spectacular Performance -Weekend Coffee Share: November 29. This week, you’re invited on a virtual cafe crawl as we catch the train from Woy Woy to Sydney. Have breakfast in Glebe then drive two hour’s North via the Sydney Harbour Bridge to the Hunter Valley and then back down to Parramatta in Western Sydney and back home again. I assure you with this grueling schedule, you will require every single coffee and no doubt a few nature stops along the way. The last week has been truly incredible. Before we get onto my daughter’s performance at School Spectacular, I just wanted to touch on a bit of a shadow which hung over things last week. I have to admit that even though I knew the chances of her getting caught up in a terrorist attack were very unlikely, there was that remote possibility and there’s definitely that sense that trouble’s brewing at the moment but we don’t have that crystal ball. Now, let me just put you right into my shoes. Here I am on a train packed with school kids including my son, my friends’ kids, friends of friends kids and the teachers who are like family to me and suddenly I’m in charge of potentially deadly situation. I’ve heard the announcement countless times while waiting on train platforms. If you see unattended luggage, please report it to station staff. This was exactly what they were talking about. At the same time, I looked at the large bag of Christmas presents, all beautifully wrapped in Christmas paper, wondering how they could possibly blow anyone up? How could Christmas presents ever be considered dangerous, even deadly? I noticed the intercom for the guard nearby and gave him 10 minutes to return. I was hoping that he’d been eating plenty of fibre and it wasn’t going to be a legitimate (but very extended) call of nature and I’d just caused pointless stress. This was a lot to take onboard, especially after my chat with my daughter. I certainly didn’t expect to be thrown in the dead end like this. It was all supposed to be over-active imagination and now I’d somehow become embroiled in a plot, which was way too big for this little black duck. 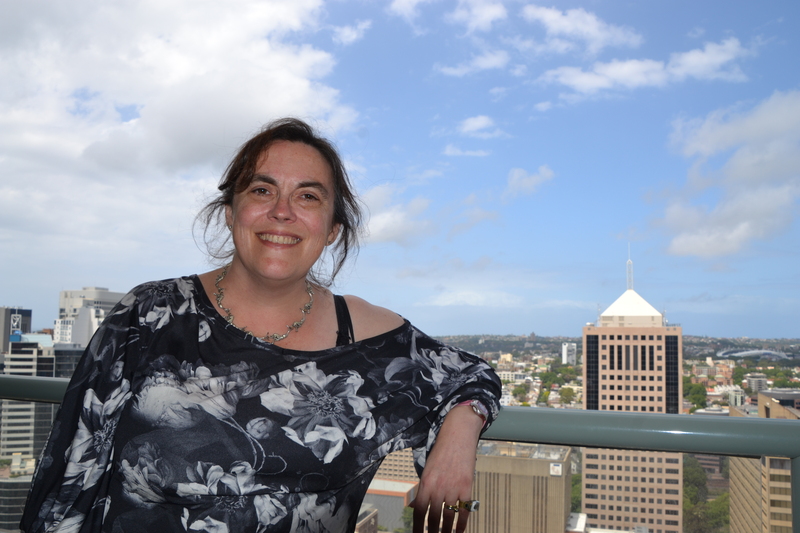 Of course, the fact that I’d been to a three hour writing workshop with Australian Illustrator, Sarah Davies the day before, didn’t do much to appease my imagination. Suddenly, I’d become the reluctant hero but what if I made a mistake? It was a huge responsibility!! Fortunately, the man returned and calm was restored. I could get back to reading my book. I was in the Quiet Carriage while the kids were in what could only be described as “the loud carriages”. This was the second false alarm I’ve had recently. You might recall that the day before the Paris attacks, we had four Army Black Hawk helicopters flying just above the rooftops of our quiet beach-side town. They were circling around doing lap after lap after lap and while I wasn’t thinking about terrorists, having a very dangerous criminal on the loose wasn’t desirable either. But…that was also a false alarm. However, we made it to Sydney rather uneventfully in the end and I was able to meet up with Miss before her grand performance. 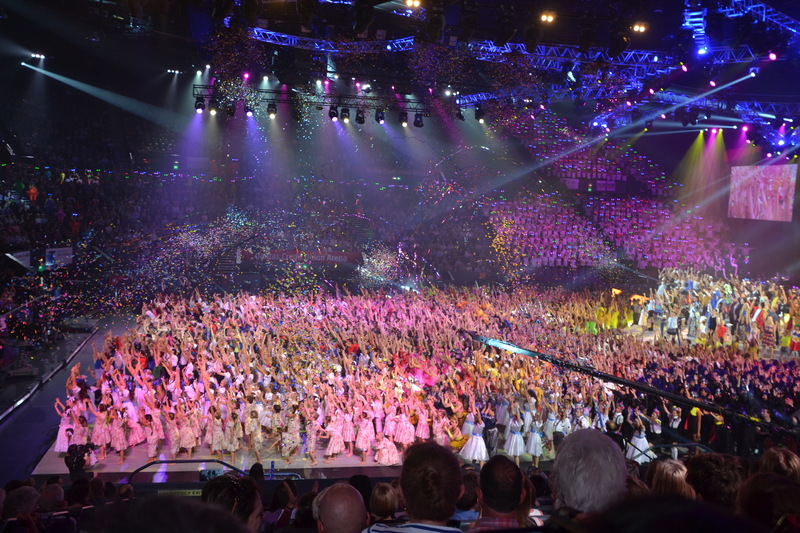 Our daughter performed with her school choir at School Spectacular, an absolutely huge extravaganza held at the Sydney Entertainment Centre. 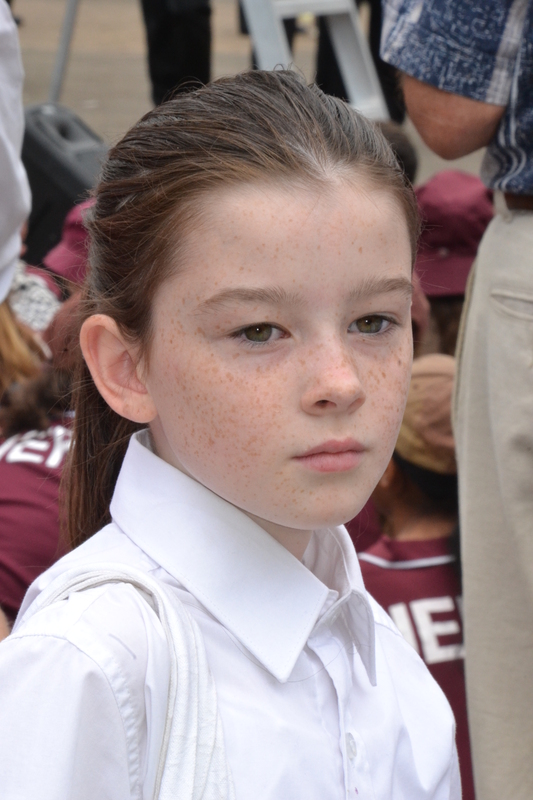 They were part of a huge mass choir, a sea of white shirts made up of 1500 kids singing 30 songs and doing actions. They did 4 performances over two days and had a pretty intensive rehearsal schedule as well. I am surprised any of them were still upright by the end. Finale- School Spectacular, Sydney Entertainment Centre. As we live in Greater Sydney and about 90 minutes away, Miss ended up staying across the road for almost a week with her friend’s grandmother. They were staying nearby 53 levels above the ground with the most incredible views of Sydney. She was so blessed and having her there made things so much easier for me with juggling transport. Here I am enjoying the view from where Miss was staying. While Miss was living the high life, I booked Geoff and I into the cheapest accommodation I could find which wasn’t above a pub. 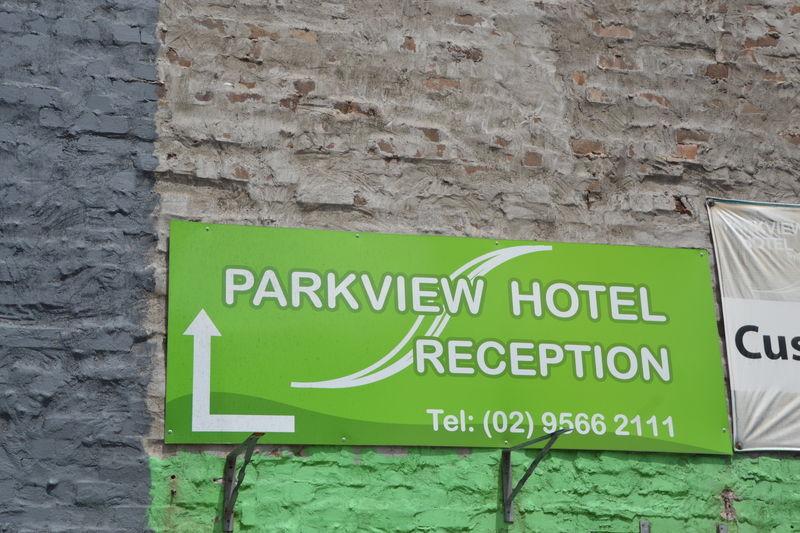 It wasn’t too bad but when we checked it out on Google Earth, we did notice some kind of Chinese massage parlor next door and Mum did warn me to make sure Geoff didn’t disappear during the night. The place had a pretty dodgy metal fire escape out the back and while comfortable,could well have been the sort of place a fugitive would hide out. Needless to say, there were no views from our hotel room. Indeed, I’m not even sure there was a window. Saturday morning, we headed off to Glebe for breakfast. We had intended to have breakfast at Glebe Markets, where I used to hang out several lifetimes ago but we couldn’t find parking and after weaving out way through a series of dead end and one way streets, we found ourselves sitting at the first cafe we could find on St Johns Road and refueled with coffees, an almond croissant and omelette. 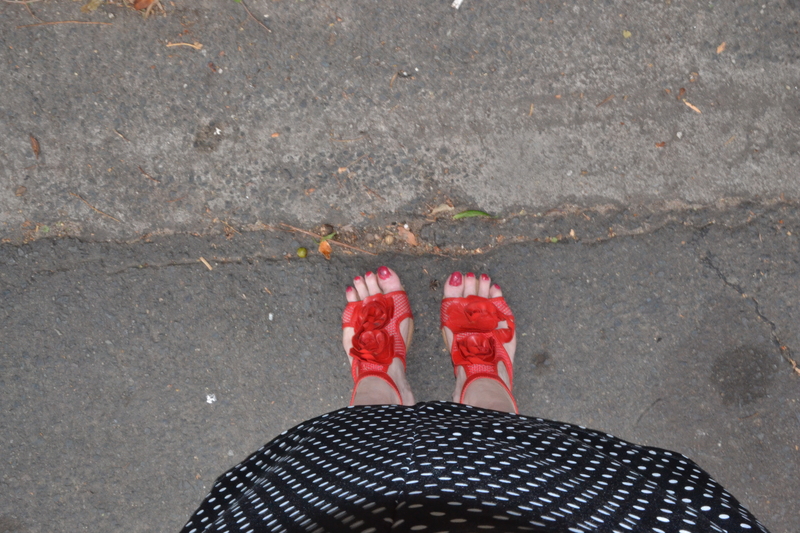 I should also point out that I was wearing really dodgy shoes and could barely walk. After breaking my foot last December, I’ve virtually spent the year in joggers but as we were going to my cousin’s wedding, I just couldn’t resist wearing my fave red shoes. They have wedge heels and being flat on the bottom, I can sort of walk in them but it’s definitely a case of “Ricketty Ro” and much of the time, I have to hold onto Geoff’s arm for dear life. While I have nothing approaching a shoe fetish and wear sensible shoes almost all the time, sometimes I just want to step out there and feel a bit pretty, elegant, frivolous and NOT a matron or person living with disability. Be myself. If you haven’t worked out the obvious by now. I am not a sensible person so why should I wear sensible shoes? Driving Across the Sydney Harbour Bridge. 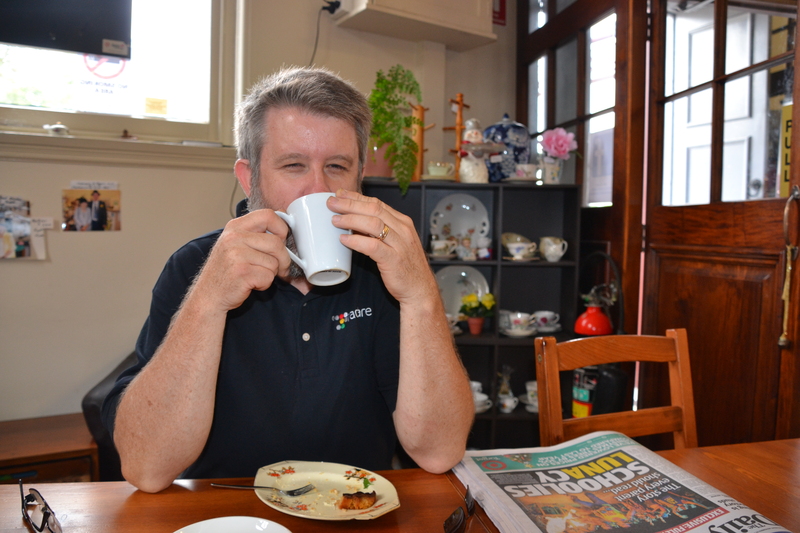 More Coffee…Kurri Kurri Tourist Information Centre. After over compensating for Sydney traffic congestion, we arrived at Kurri Kurri 2 hours before the wedding. Needing another caffeine hit (make that a strong one, please!) we stopped off at the Visitor’s Information Centre for great coffee and Caramel Slice before driving our town checking out the murals. 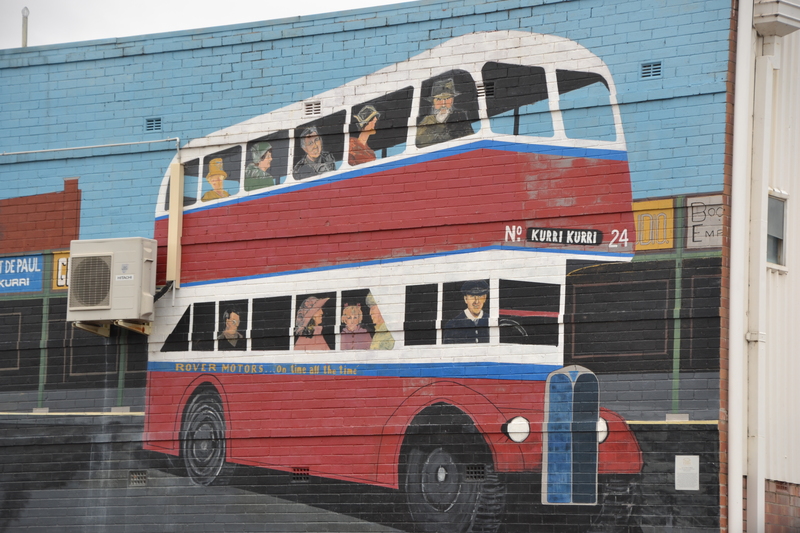 Red Bus Mural, Kurri Kurri. Next stop, was my cousin’s wedding. This was so exciting that my trigger-happy camera finger went into overdrive and I’m surprised I haven’t developed some form of RSI. The wedding and reception were beautifully intimate and included personal wishes from the groom’s grandparents, which just added a certain magic. We drove home last night and had my uncle to stay. Made him pancakes for breakfast and must’ve totally exhausted myself as I didn’t photograph his visit at all. 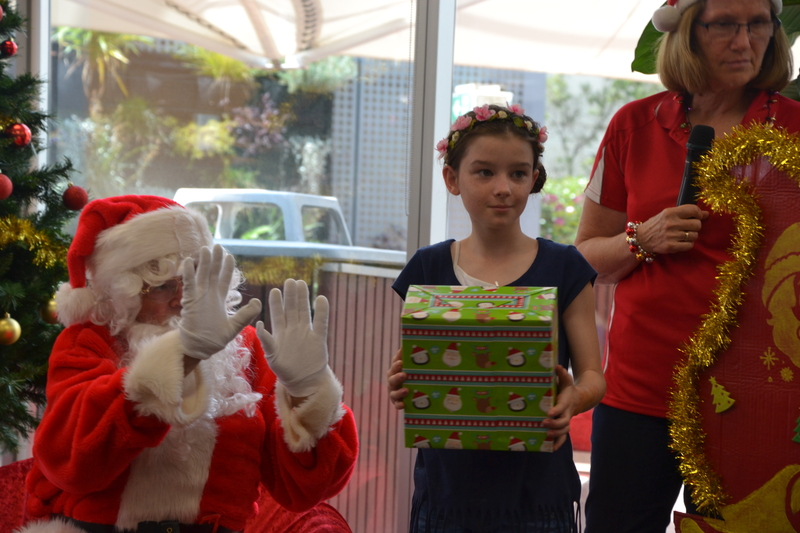 Drove down to Sydney to pick up the kids and head off to the Muscular Dystrophy NSW Annual Christmas Party, which is so generously put on by the staff at the Commonwealth Bank in Parramatta. 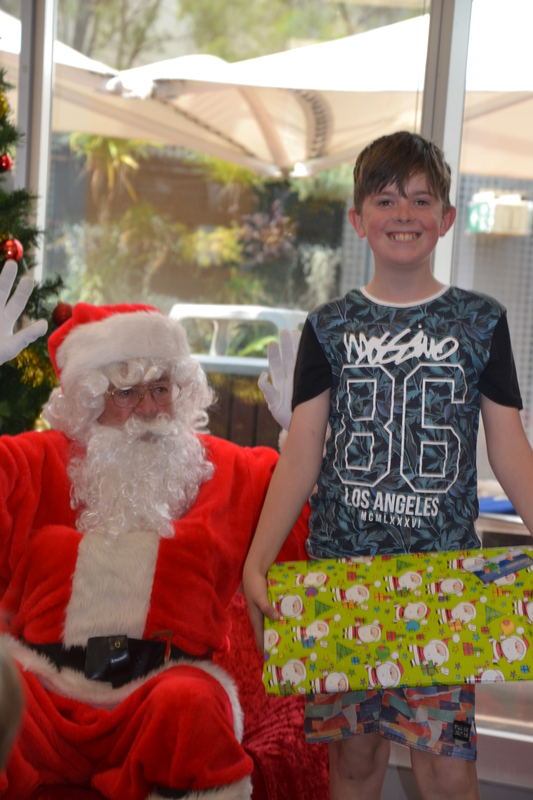 This is a real extravaganza and the kids loved playing on the slot car rack and enjoyed the arrival of Santa and their presents. I was particularly thrilled to meet up with other members…friends I’ve made at an Adventure Camp I’ve attended. This is my community. Right now, I’m ready to hang up my red shoes. “There’s no place like home” and a deep sleep! I hope you’ve enjoyed our coffee and I look forward to topping up the caffeine levels when I pop over your way. This entry was posted in Australia, music, Parenting, Sydney Postcards, Travel, Uncategorized and tagged art, choir, dance, Hunter Valley, Kurri Kurri, Muscular Dystrophy, music, parenting, Santa, School Spectacular, singing, Sydney, travel on November 30, 2015 by Rowena. A Conversation No Parent Should Have. Last night, I had a conversation with my nine year old daughter which no parent should ever need to have. We talked about what to do in the event of a terrorist attack. I didn’t instigate this conversation but I didn’t shut it down either. My daughter is performing at a large event in a capital city and Australia is on a high terrorist alert. While a terrorist attack at her performance is unlikely, it’s not impossible. In the past, our geographical isolation has protected us from global conflicts. However, isolation can so longer save our precious country from what happens “over there”. It has already happened here more than once and a former work colleague of mine was among the hostages in the Sydney Siege this time last year. So, I know first hand that these things can happen to you or someone you love. While this awareness could turn you into a victim, being a Scouting family, my thoughts were for her to “Be Prepared”. That this isn’t a time to stick our heads in the sand…especially when she has concerns. Our daughter simply asked Daddy where she could buy a suit of armor. He told her that you couldn’t buy them and that he thought they were illegal. I’m not sure if he said any more but I decided to follow up her question. Given events in Paris and, as much as I have minimized exposure to the news, I knew what she was really saying. She is afraid of a terrorist attack. When I was her age, a notorious murderer broke out of jail and I was terrified. In my mind, he was heading straight to our place and I was locking the windows and barring the doors. My Dad reassured me, talking about the likelihood of him turning up at our place, a tactic he has often used since and is a classic approach to reducing anxiety. He also told me that he would protect me and knowing that my Dad was some kind of super hero, I believed him. Of course, he didn’t turn up and Dad retained his incredible super powers. If we were dealing with the same kind of threat, I would give my kids much the same kind of advice. I’d also tell them that our dog, Bilbo, would fight to the death to save us. We all know that while he looks cute and fluffy, he knows how to be ferocious and would die for us. No questions asked. He’s a dog! However, these terrorists aren’t operating by the old, conventional rules. These days, having a simple cup of coffee or going to a football match or a concert, can be life threatening. These terrorists are striking at the ordinary, which means that your average Jo(e) needs to be prepared. Obviously, a writer-poet without any military training, is definitely no expert on surviving a terrorist attack. However, I read how people survived inside the Bataclan Theatre and have also had my dose of TV to add to the mix. Try to stay calm and think. Keep breathing. Find the exits. If you are close to an exit, try to get out. Getting out safely is your best option. Hide. Try hiding under your seat. When you’re outside, find the Police. I forgot to mention about listening to her teacher. We know her really well. Of course, she would look after our children like her own but under exceptional circumstances, Miss might just have to do the bolt. My daughter exudes such joie de vivre dancing at the beach. She shouldn’t have to think about shadows! While the chances of her being caught up in a terrorist attack are slim, talking about what to do in an emergency is a good idea. That’s why we have things like fire drills and we just can’t assume that we will be with our child in an emergency. Or, that we won’t get separated in the chaos, like an Australian father and his 12 year old son in the Bataclan Theatre. Indeed, the day of the Paris Attacks, we had a severe hailstorm here. I had just ducked out for a few minutes and while I was gone, the hail smashed through a section of roof. Rain was pouring in and we had to get the State Emergency Service out to put up a tarpaulin. We’ve been living in this house for 14 years and I’m pretty sure it’s the first hailstorm we’ve ever had. So, the unexpected can happen in all different shapes and sizes and a few survival skills go along way. That, in addition to book knowledge, we all need life skills. We need to know how to get through a crisis. How to save ourselves. For my daughter, too, knowledge also means being empowered. She has some skills. She has some ideas about what to do and how to respond. So, instead of going into a panic, she can be level-headed and perhaps even help others in all sorts of emergencies. So, I’ve now come round to thinking that this is the sort of conversation all parents need to have with their kids. Not just about terrorism but about how to respond in an emergency. Children might be young but they’re incredibly resourceful and being small can be quite an advantage. Being good at hide & seek could even save their life. Being prepared isn’t giving in to worry. Instead of weakness, you’re actually coming from a position of strength. If you have ever read the words of La Marseillaise, fighting the good fight is what it’s all about. We don’t lie back and let the bastards win. Take care and and I feel we are all particularly conscious of just how precious our loved ones and our communities are and I continue to pray for some kind of resolution and a new beginning. I would be interested to know your thoughts. We really do live in a new world where the old rules no longer apply. Now, the anticipated target could indeed be the exception. While this doesn’t make sense, this is our new reality. 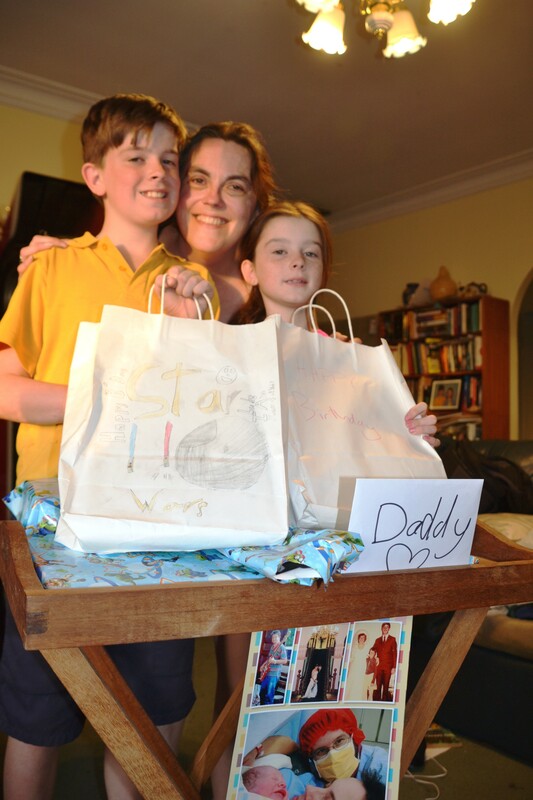 This entry was posted in Australia, Uncategorized and tagged anxiety, Be Prepared, children, Lindt Cafe, mom, Mommy, parenting, Paris, philosophy, psychology, scout, scouting, survivor, Sydney, terrorism on November 25, 2015 by Rowena. A Global, united response to the 13th November 2015 Paris attacks. The Planalto Palace in Brasilia lit in the colors of the French flag. Outside the French Embassy in Ottawa. The Oriental Pearl TV tower is lit in the colors of the French flag. Photo by Aly Song in Shanghai. A projection onto an ancient pyramid at Giza. Outside the French Embassy in London. Outside the French Embassy in Berlin. At a ceremony in Tel Aviv. This entry was posted in Uncategorized on November 24, 2015 by Rowena. As I sit here, thinking about what to write for my Sunday post this week – on Saturday, for a change because I’m unable to give any thought at all to my fictional NaNo world right now, I, who usually have no problem with words at all, am very nearly stumped. It’s not that the words aren’t here, in my head, it’s just that they don’t seem to be finding their way onto paper in any form that makes sense. This entry was posted in Uncategorized on November 23, 2015 by Rowena. Iced Coffee + Heat Wave …Weekend Coffee Share. If we were having coffee today, you’d be asking for extra ice with your iced coffee or tea. You’d even thank me for pouring ice down your back or offering an ice-filled bath! Indeed, temperatures shot up to 43° C or 109.4° F and it was so hot, that my eyes actually burned. Desperately seeking relief, I evacuated to an air-conditioned oasis…printing photos out at K-mart. It was my husband’s birthday and due to the heat, I put off making a cake and we went out for dinner to an air-conditioned venue. While we have air-conditioning at home, we don’t like the financial aftershock. Much better to use someone else’s! So, how are you? How was your week? If we were having coffee, I’d have to tell you that I’m feeling better this week. That’s not to say that I’m fine but at least, I’m not feeling shell-shocked anymore after last week’s damaging hailstorm and events in Paris https://beyondtheflow.wordpress.com/2015/11/15/weekend-coffee-share-paris-and-the-week-that-was/. You might enjoy reading I post I wrote about recovering from the storm, especially after the physical damage has been fixed but the emotional scars remain: https://beyondtheflow.wordpress.com/2015/11/17/recovery-after-the-storm/. A week after the Paris attacks, I’m not quite sure what’s what. Stories about the survivors and the dead, have been truly chilling. I felt such empathy for the victims. I celebrated my 22nd birthday in Paris and been in their shoes walking those streets. Hung out in Parisian cafes drinking cafe cremes. I felt numb. Yet, Monday morning still came around again and the routine started up again without me. I had to really slap myself. Reality check. It really annoys, even grieves me, that life callously moves forward without so much as a glance over its shoulder. Doesn’t shed a tear. However, if we’re not to remain victims and if we’re going to be prepared for the inevitable terrorist attacks to come, lying face down in the mud isn’t an option. Indeed, the Parisians took to the streets singing “La Marseillaise“. They’re not going to sit back and let the terrorists win! With the horrors of last week, I completely forgot to mention our good news. Our daughter has been accepted into what’s known as an Opportunity Class for her last 2 years of Primary school. These classes are for high achieving students and they need to sit an entry test. It’s going to be quite a commute but she’s really keen to go. For all of you taking part in Nano, how are you going? I’ve also completely re-written a manuscript for a kid’s book I wrote about 5 years ago and am really pleased with the results. The original was way too long and this version is well under 1000 words. It’s currently “stewing”, allows all those creative juices to penetrate the page and mature. However, I must also confess that I have a lot of “stews” experiencing total neglect and it wouldn’t surprise me if the dogs have even eaten a few. Leaving stew unattended around here is a very risky business. Indeed, we’ve lost a couple of meat pies lately. 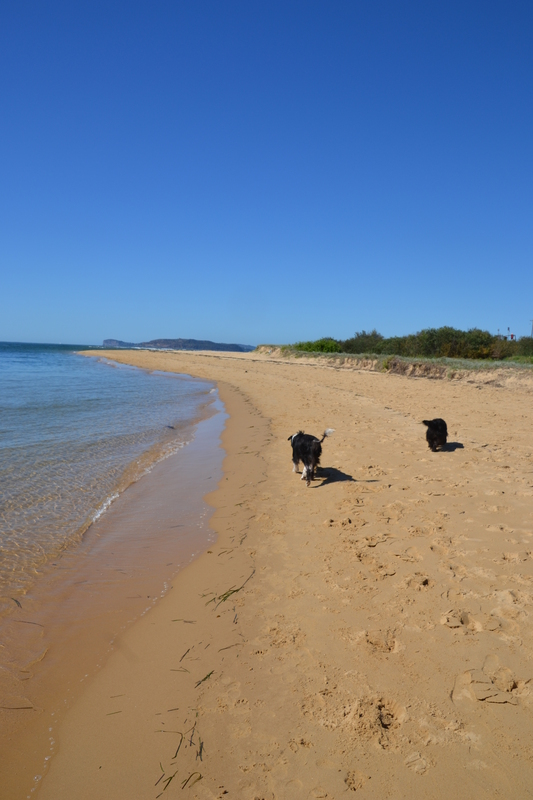 I’ve taken the dogs for a few beach walks this week. Moving forward to next week, Monday morning I’m getting stuck back into the book project. I’m aiming for Monday because, as everyone knows, everything starts on a Monday…diets, exercise. No more pressing the snooze button on more fronts than I’d dare to mention! 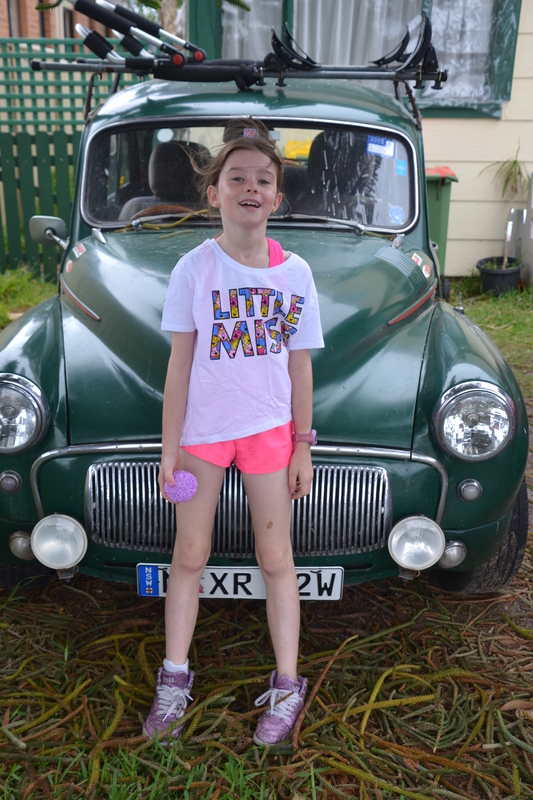 Little Miss in front of our Morris Minor. Next week, Miss will be performing in a huge, multi-school choir as part of School Spectacular to be held at the Sydney Entertainment Centre. It’s a huge deal to be a part of this and so exciting. I don’t even know if we’ll even be able to spot her on stage but it’s an opportunity of a lifetime. We’ll definitely be needing our binoculars. If we were having coffee, I would also tell you that today was my husband’s birthday. He’s been away at a conference for work this week and it’s been great to have him back. 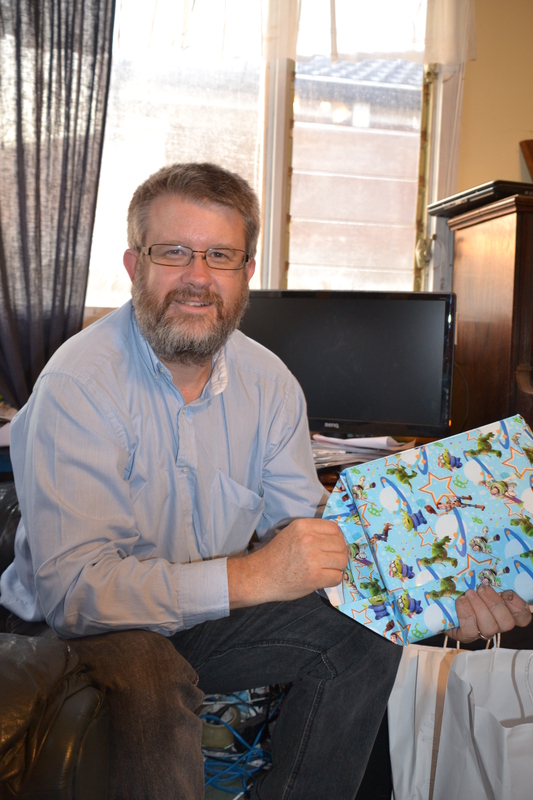 His main present has been a memory book. Both Geoff’s parents had passed away before we were married and so the children have never met their grandparents but are very close to my parents so I wanted to even things up a bit. This is one of those store-bought pre-printed books with headings and spaces for memories and photographs. Rather than having it all written out and finished, I’ve made a pretty good start and plan to get Geoff and his sisters to contribute. This is one instance where you really do need to know what you’re writing about. It’s now Saturday and thank goodness the heat has eased and we’ve had a blessed cool change. Rain is threatening and there are strong winds, roaring like a rough surf. Took the dogs for a walk along the beach today and chatted with a friend. Needed that. I hope that you’ve all had a good week and that somehow your faith in humanity has somehow been restored. That there have been some uplifting moments as we as a global community try to live with the lurking shadows of terrorism and try to reach some kind of solution.That will no doubt be requiring some kind of super-strength cup of coffee but we need to have faith and we need to keep trying. Never give up! Meanwhile, our prayers go out to those affected by terrorist attacks in Mali yesterday. Go on check out the other coffee share posts over on Diana’s Blog Part-Time Monster and join the linky yourself! This entry was posted in Australia, Compassion, Dog-Our dog Bilbo and tagged #1000Speak, compassion, dogs, family, Mali, memoir, mom, mum, parenting, Paris, peace, School Spectacular, terrorism, writing on November 21, 2015 by Rowena.